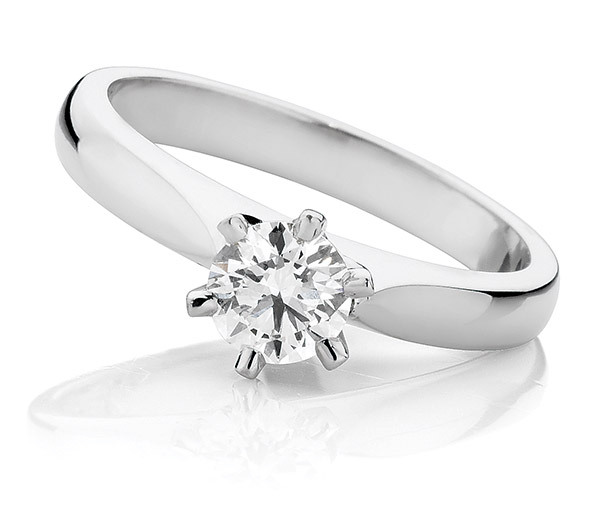 The Emma solitaire ring features a round brilliant cut diamond in a fine six claw pierced out setting. 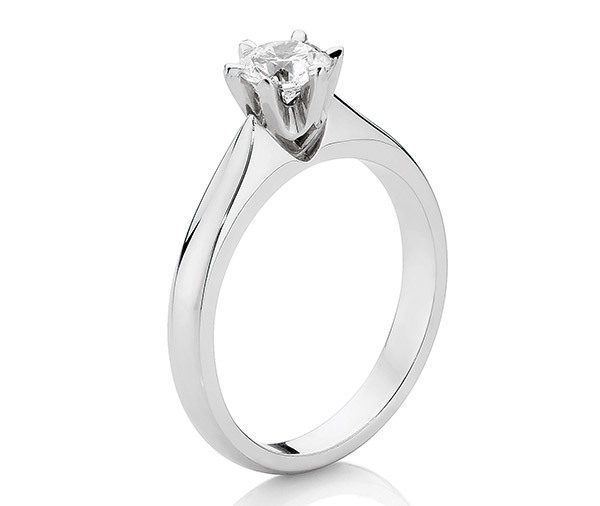 Model image features centre 0.50ct round brilliant cut diamond. Available in platinum, 18ct white, yellow or rose gold or any other precious metal combination.